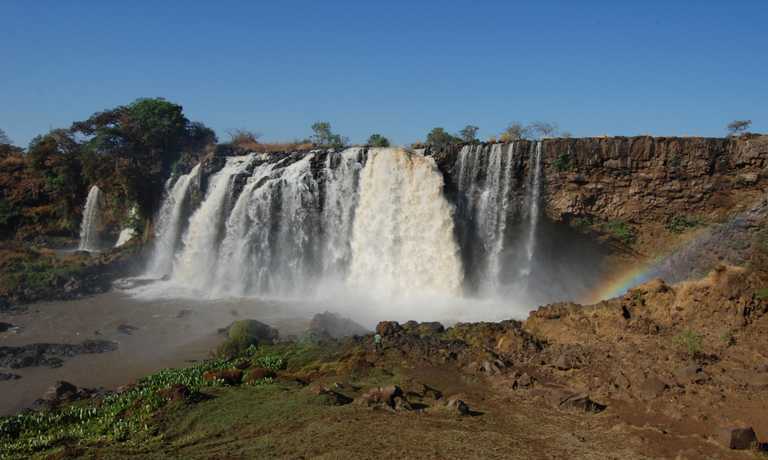 This nine day adventure takes you deep into southern Ethiopia, home to a number of indigenous peoples. With the help of our Brilliant local guides, you'll be introduced to an entirely different way of life. 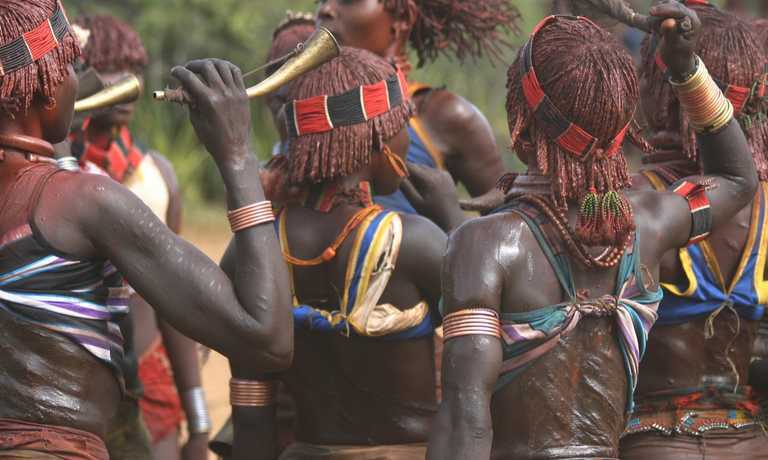 Responsible tourism is fundamental in the Omo Valley, and our guides will ensure your visit is respectful. Catching a boat in the Omo river. Upon arrival at Bole International Airport, our local guides will meet you and transfer you to your hotel. Spend the rest of the day exploring the capital and enjoy a welcome dinner a local restaurant in the evening. Drive (7 hrs) Addis Ababa to Dorze, en route visit one of the historical sites along Butajira Road: Melka Kunture, Adadi Maryam or Tiya. Morning visit Dorze people and market in Chencha. Afternoon drive (1 hr) Dorze to Arba Minch and boat trip on Lake Chamo, part of Nech Sar National Park. Morning visit Karo people in Kolcho. Afternoon visit market in Turmi and Hamar people. Visit Dassanech people in Omerate. Drive (2.5 hrs) Turmi to Jinka. Market day in Dimeka and Alduba. Morning visit Mago National Park and Mursi people. Afternoon visit Ari people. Visit Jinka museum. Drive (4.5 hrs) Jinka to Arba Minch, en route visit Key Afar market. Drive (7 hrs) Arba Minch to Addis Ababa. Optional flight Arba Minch to Addis Ababa. End of service. This trip can run as a group trip, with prices starting from $1,200 per person for a complete group. If you are looking to join a group or you are a solo traveller we will help to form likeminded groups of travellers. Please let us know your travel plans. The current total fare for the domestic flight(s) in the itinerary is USD $70 per person when Ethiopian Airlines is used for international flight. Otherwise the fare for the domestic flight(s) in the itinerary is $160 per person. Fares subject to change by airline. Airport transfers and road transport around Addis by private minibus. Road transport from day 2 until day 8 by standard 4WD with English speaking driver/ guide, including fuel, driver allowances and accommodation. Fees for entrances, local guides, compulsory scouts/ security personnel and boats for activities mentioned in the itinerary.